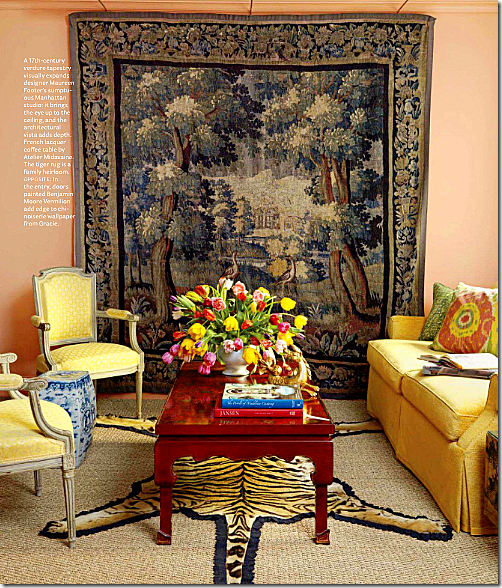 Isn't this red Chinoiserie coffee table a great look? yes, it is. I could see it done in an indigo blue also, but then it woukld not be "Chinese Red". I can't stop looking at this! It is TOO GORGEOUS!!! Love the red!! The flower arrangement is stunning too.